***Please check out our Used Paddle Boarding Gear Program*** This used bag is sold but we have others!!! 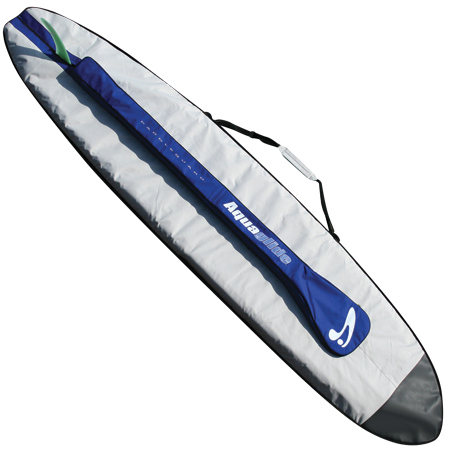 Padded travel bag designed specifically for keeping all of your paddlesurfing gear neatly stowed together. Zippered fin slot, Innovative paddle chamber and gear pouch make this bag a necessity for anyone who transports their paddlesurf board. Molded handle and padded shoulder strap make carrying a cinch.